However, as I cruised the aisles of supermarkets and local stores (conducting my own due diligence) I noticed a common, yet disturbing, trend. Most of the packaging I saw was plastic. Plastic, plastic, plastic. It seemed that finding sustainable packaging was going to be a challenge. And I’m always up for one of those. Was plastic really the only option for my chicken salad? Of course, I grew up using plastic everything: straws, plates, milk jugs… and almost every fresh food product was wrapped or preserved using plastic. I won’t even discuss the styrofoam that was historically used (thank goodness much of that is obsolete now). But today, we are much more eco-friendly and responsible. Heck, cities such as Seattle are banning the use of plastic straws, which some people apparently find troubling. But is using plastic the only way to be competitive? Or is the food industry just being lazy? I mean, everyone knows the problems that plastic presents. So in my quest to not only talk the talk, but walk the walk, I set out on another mission: Find sustainable packaging. The average time people spend using a single plastic container or bag is about 12 minutes, yet plastics take hundreds (if not thousands) of years to decompose. Plastics kill over a million animals and seabirds every year. 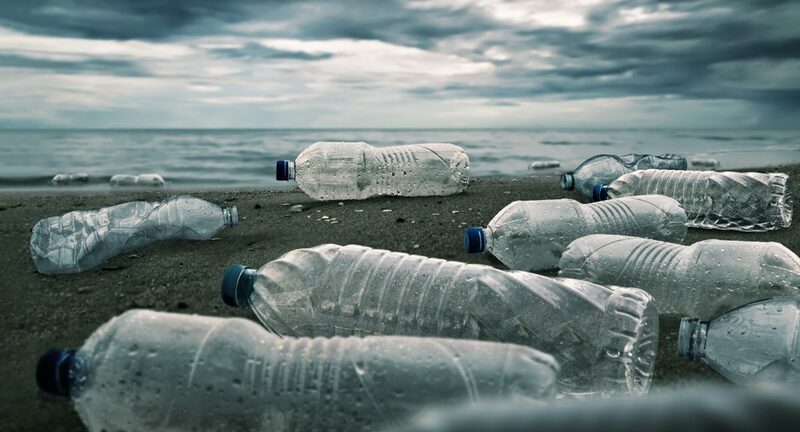 Almost 75% of beach litter is comprised of plastic. I would not be deterred. Then, I was fortunate enough to find TricorBraun. TricorBraun is a packaging solutions company focused on providing innovative, custom solutions for its many customers. An industry leader in glass and plastic containers, closures, dispensers and tubes, TricorBraun operates from more than 40 locations throughout North America and internationally from London, England; Guangzhou, China; Hong Kong; and Mumbai, India. Their award-winning Design & Engineering Center provides forward-thinking service driven by consumer insight, market understanding and creative solutions. TricorBraun’s advisory services range from preliminary planning and manufacturing oversight to warehousing and logistics programs. After consulting with TricorBraun, I was on course to find sustainable packaging for my chicken salad. I followed the path set before me with a renewed spirit, knowing that this too—sustainable packaging—could be accomplished. Next, I was introduced to ENSO Restore. ENSO Restore is technology that converts plastic into natural gas after discard. This technology is available for most traditional materials, including PET, PE, PS, PVC, Nitrile, Rubber, Latex, Phenol, PP, adhesives and more. ENSO Restore provides a way for plastic packaging, that would otherwise become waste in a landfill, to increase the availability of clean energy for our communities. ENSO Restore is validated by independent certified laboratories using ASTM International test methods. And it is FDA compliant and safe for food contact. While I have not finalized packaging for Grace Homemade, thanks to these companies I am one step closer to fulfilling my goal of 100% sustainable packaging for my chicken salad. To me, eco-friendly, sustainability, going green, community development and equitable income distribution are not just phrases to be tossed around at Sunday brunch over a mimosa. This is my personal lifestyle. There are no shortcuts, and I will leave no stone unturned in my mission to make Grace Homemade a socially responsible brand that is part of the global and local community.